The older you get, the more likely it is that you will develop a condition in the walls of your colon called diverticulosis. Usually this is harmless. Even if you have been diagnosed, you might never experience any of its symptoms, allowing you to live your life without any obvious effects of the condition. requires medical attention, sometimes hospitalization, and in some cases even surgery. Despite treatment, diverticulitis can reappear and become more severe. Affected areas also can bleed, sometimes severely. The potential for these complications is the reason that diverticulosis requires your attention. Diverticular disease has become a growing health problem in the United States. In fact, diverticular disease accounts for more than 300,000 hospital admissions and 1.5 million inpatient care days every year. The good news is that these diverticular diseases are easy to treat, and even preventable through dietary and lifestyle changes that can improve other aspects of your health. In this guide, we will explain how diverticular disease can appear with little or no warning. We’ll show you how to tell when you may be having symptoms and give you steps you can take to keep the problem from developing in the walls of your colon in the first place, including tips on maintaining a healthy, high-fiber diet. 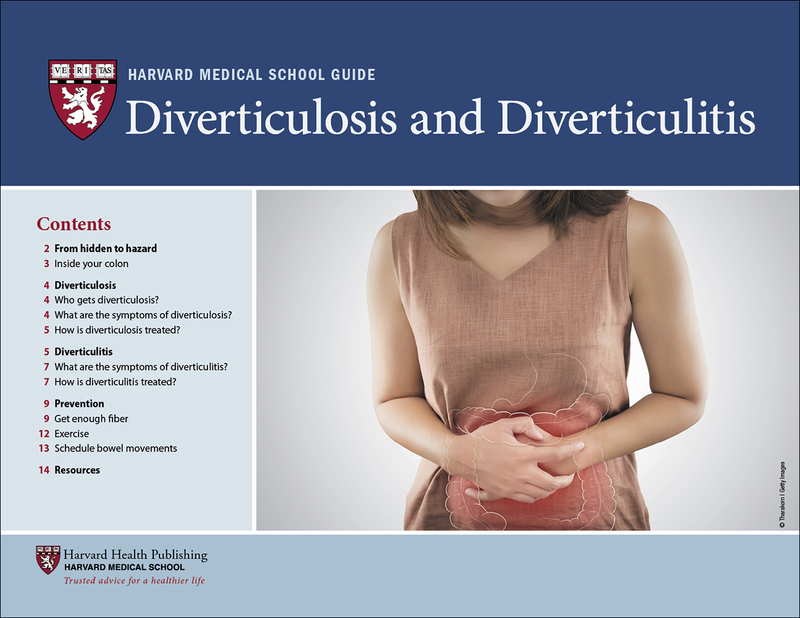 We’ll explore the more common diverticulosis, then go into detail about the more serious diverticulitis, offering insight into treatments for both, as well as self-help and prevention strategies.